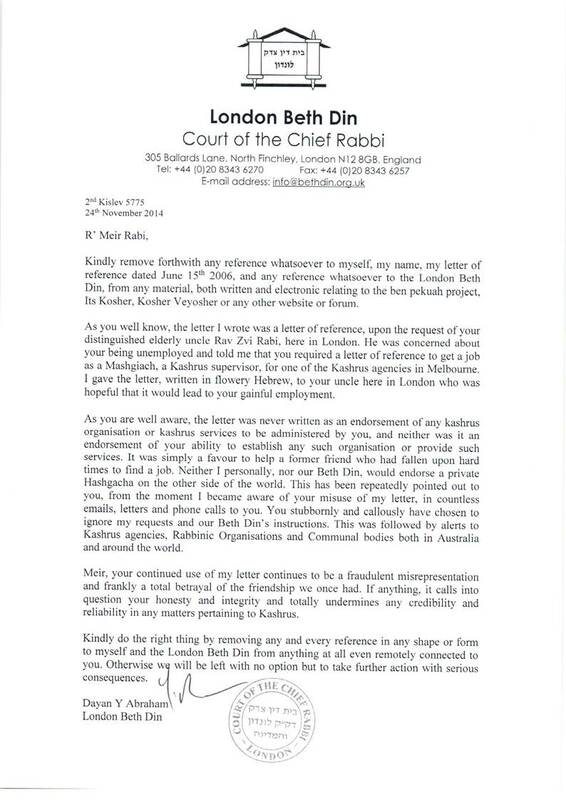 The following, is my free translation of a statement issued by Rabbi Yosef Avrohom Heller, Rosh Kollel of Crown Heights and one of the most prominent (if not the most prominent) Poskim in Chabad today. (His views on other matters, such as “Who is Moshiach” are well known). There are dozens of children wandering and lost, and thank God we are blessed with many institutions established to bring them back through Torah. But these are not only the only misguided ones: many young people in Yeshivos are perplexed and in danger of dropping out. This is not only dangerous, but the simple fact that they are lost and confused – is itself a great loss, as we must expend all our powers to keep them and guide them. Because everyone should succeed in Torah study and Mitzvos, and we should not be focussed only on those who are already in a proverbial deep hole. We should give them our full attention and show them the beauty and wondrous taste of Torah. There are still many students who ostensibly behave as they should, but since we are not in reality educating them in a proper way and do not give them the necessary tailored spiritual needs, they may turn down the road and become lost, and the debt is imposed on each of us to pay attention to their suffering and help them. The first rule is that every child is different, each has a potentially different learning path and outcome from the other, and our expectation is different from child to child. This applies to both learning Torah and and serving God. If we can show each child what they can achieve on a personal level, the child will feel a hundred percent successful in their achievements. But if the child gains the feeling that they were “unsuccessful” or feel they have to live up to an unreasonable expectation, then in addition to the grief that the child is suffering, there is a danger that because they are not seen to be successful, they will seek success elsewhere. The truth is that it is hard to expect institutions to look after and devote themselves personally to each student according to their value, since this is nearly impossible. So, the responsibility is on the parents, neighbors and friends, to see that each achieves their individual potential. Gemorah? Is not for everyone! Previously there was no concept of people learning all day. Only very few people did this, and others set time for Torah and the rest of the day they were at work. Today there is a new concept that has no source in the Torah that everyone should specifically learn Gemara. One who studies Mishnayos is considered a lesser individual! There was never anything like this in the past: one studied Talmud, another Mishnayos. Is it conceivable to say that the latter is less of a Talmid Chacham than the former? A third studied Chumash with Rashi and also had a place of honour in the Beit Midrash. It is the same with the study of Talmud itself: the first is studying the first Sugya in Pesachim and another is learning the last chapter. Is the latter therefore considered to be less than the first? We can not all learn the same thing, because God did not create everyone as clones of each other. For every student to succeed, according to their ability, they must feel their success according to their potential ability. If this is the case, they will feel satisfaction and pleasure in learning. They need not aspire to be a great “genius”. But if they learn matters which are more complex than their innate ability or matters which do not challenge them adequately they will not feel satisfaction in the classroom. For example, for one student it may be grossly inadequate to painstakingly teach them one Mishna a day, explaining each part with examples and illustrations. For another student, this may be exactly the approach that is required and they will feel fulfilled and not lacking in self-esteem. Therefore, an entire class cannot assume a one size fits all approach. It does not work. As an example: the mathematician, philosopher and engineer, are three types all of whom can excel. They each have different ways of thinking. Is one less wise than the other? This is the way God created the world. Two heads are not identical. Every person is wise within their God-given boundaries. So when learning a complex issue involving a dispute between two Tanaim, the Gemara brings about a dispute between two Amoraim on their interpretation Now we have four views. Then the Gemara brings a different interpretation of the Amoraim and we now have eight approaches. Then there is a dispute between Rashi and Tosfos – and we have 16 opinions. This can then extend to different understanding in Rashi and Tosfos which leads to 32 approaches. A student who can understand all these methods is mathematically gifted, but how many are born with this ability? However another student could resolve a conflict between two different Gemoras because they had a more philosophical (abstract learning) ability. And others may have practical more applied sense, and can apply the principles to conclude practical halachic ramifications in our daily lives. So when Yeshivos deliver complex shiurim with hair-splitting logical minutiae, many students do not have the tools to deal with this approach. But if you were studying with them issues of Jewish law tracing the Gemora through Tanaim and Amoraim and Rishonim and Acharonim until they could see and understand the conclusions in Shulchan Aruch they would feel experts in that field, and they will importantly derive much satisfaction and fulfilment. The conclusion is that there must be different departments in each Yeshivah. For example, children of the same age will have one group studying Gemorah, a second group learning Mishnayos and a third group learning Halacha. The institution itself must have a framework and provide options so that students select what is suitable for them and is fulfilling. If you do not give him the opportunity – it’s like the philosopher being forced to become a mathematician, and instead of becoming successful in their chosen field, they end up not being successful at all. We need to open many types of such institutions, and there are a lot of donors willing to support it, since they were disappointed that they had suffered and were not successful in their own learning. We need to explain to people that this is a real life-death situation, and if we lack money, then by Halacha we have to sell all the scrolls in the synagogue so that each synagogue will only have one, and thus finance the costs. There is a recent great awakening to write Torah scrolls, and almost every month in our neighborhood there is one more new Torah Scroll. So certainly they would be willing to donate money for new institutions. This is more important than the new Torah scrolls. One story tells of a woman who wrote to the Lubavitcher Rebbe that they wish to contribute a Torah in loving memory of her relatives, and the Rebbe responded (אגרות קודש ח”ל ע’ צב) that if she will support a yeshiva student who studies Torah, then the souls will be raised more than through buying a Torah scroll. And how much more so in regard to save the lives of children in Israel. So parents need to know that if their child is not succeeding in a given Yeshivah no matter how hard they try, they should take the child out of that Yeshivah. This is פיקוח נפש. This is a great essay and I hope that it has some effect – but I should point out that selling a sefer torah would only provide a small fraction of a single teacher’s salary for one year. I don’t know what the solution is, but we shouldn’t pretend that it will consist of an easy answer like “sell the sifrei torah!”. In any event, if all the synagogues sold their sifrei torah, who would buy them?